With quick and easy 3 step operation you can perfectly wrap your package very economically...just pennies. Shrink wrapping packages will help to prevent pilfering. You will also protect your products from dirt, dust and moisture. 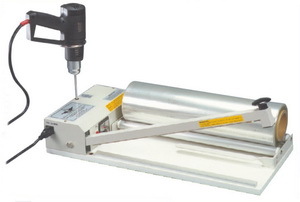 Choose from 13", 18", 24" and 40" table top shrink systems. Click on the items below to learn more about these items. FOB factory, allow 48 hours or less to ship.